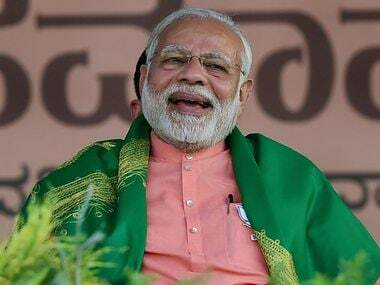 Bengaluru/Davangere: The BJP and Congress were locked in a slugfest over corruption in battle ground Karnataka, with Prime Minister Narendra Modi calling the Siddaramaiah government "seedha rupaiya sarkar" that works only for money. The Congress hit right back, as its communications chief Randeep Singh Surjewala used Modi's remark made years ago to target the prime minister over his silence on the PNB scam, asking him to turn from "maun (silent) Modi to bol (speaking) Modi". At an election rally in Himachal Pradesh's Mandi in 2012, Modi, then the Gujarat chief minister, had attacked prime minister Manmohan Singh, saying he was "maun (silent) Mohan Singh" who showed no concern over rising prices and plight of the poor people. "Some people feel that in Karnataka there is Siddaramaiah government. But the fact is that here there is seedha rupaiya sarkar (to rhyme with the chief minister's name. In every thing there is seeda rupaiya (bribe and tainted money), only then work happens," Modi told a farmers rally of the BJP in Davangere. "You tell me, do you want this seedha rupaiya culture? Do you want seedha rupaiya kaarnaama (exploits)? Will common man get justice from this seedha rupaiya? This seeda Rupaiya government has to go," he told the rally organised to mark the 75th birthday of the party's chief ministerial candidate BS Yeddyurappa. As the prime minister launched a blistering attack on Siddaramaiah and the Congress over corruption, Surjewala told a press conference in the state capital Bengaluru that the PNB fraud was getting bigger but the prime minister was quiet. "Why is it that the bank fraud keeps getting bigger? On February 14, 2018, when PNB did its filing with the National Stock Exchange, they admitted that their exposure is $1771.69 million," Surjewala said. "Last evening they did a second filing admitting that their exposure has now further gone up by USD 204.25 million," he said, adding this means that the total scam has gone up to $2 billion (Rs 12,717 crore). "Who is responsible? Who is responsible for this public loot of money? 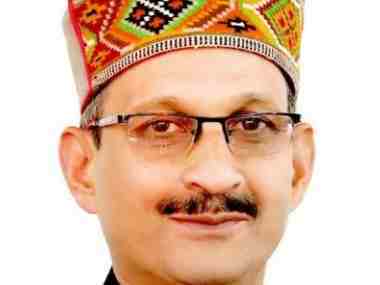 We, with folded hands, request Prime Minister Narendra Modi... when will you honorable prime minister shift from maun Modi to bol Modi (silent Modi to speaking Modi)," he told the press conference where he released the copies of PNB's filing to the exchanges. Noting that Modi, during his recent visits to Karnataka had, among other things, spoken on the issue of corruption, Surjewala said after 46 months in power "if one person in India has to answer on corruption, it is Modi and his party the BJP." He said, "We want to ask the PM on behalf of the country to break his maun vrat, to break his silence and speak out, answer questions of the people of the country." 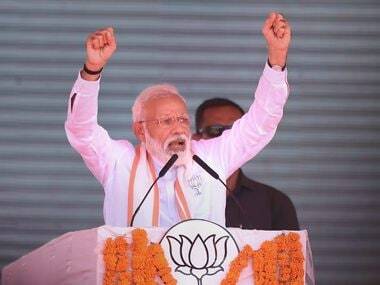 In a frontal attack on the Congress, Modi told the rally in Davangere, that the party cannot be saved due to the "weight of its sins". "You see across the country. Whenever the people have got an opportunity, they have first removed Congress. 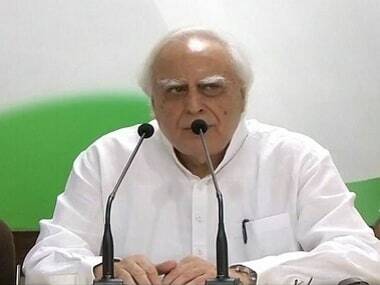 Because the country has come to know that the root cause for all our ills is the Congress culture, and when there is Congress culture, everything that we see is not good…..nothing good we can see," he said. "There is anger against this government...such governments are very few," Modi said. 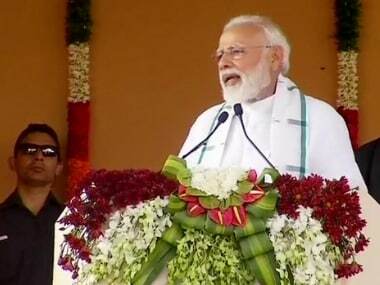 This was the prime minister's third visit in a month to Karnataka, where the BJP is making a determined push to wrest power from the Congress. Assembly elections in Karnataka, the only southern state to have had a BJP government, are likely in April/May. "In this country, there was never a raid on the residence of any sitting minister. Here, in their houses you get diaries, money. You get bundles of notes from houses of leaders. Where did this money come from? "...Whose money is this? If this is not seedha rupaiya (tainted money) what is it?" Modi said, obviously referring to the Income Tax raid on a state minister and a close aide of the chief minister last year.